Men are seriously difficult to buy for aren't they? 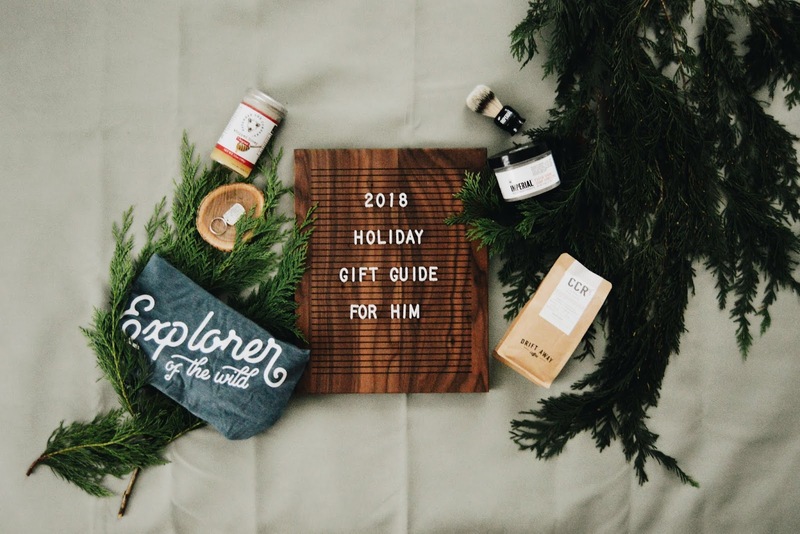 My husband sure is, he never wants anything, but I can't let there be nothing for him under the tree, so I've scoured the Internets for the past few months, selecting just the perfect gifts that I know he'll love and I can't wait to give them to him! 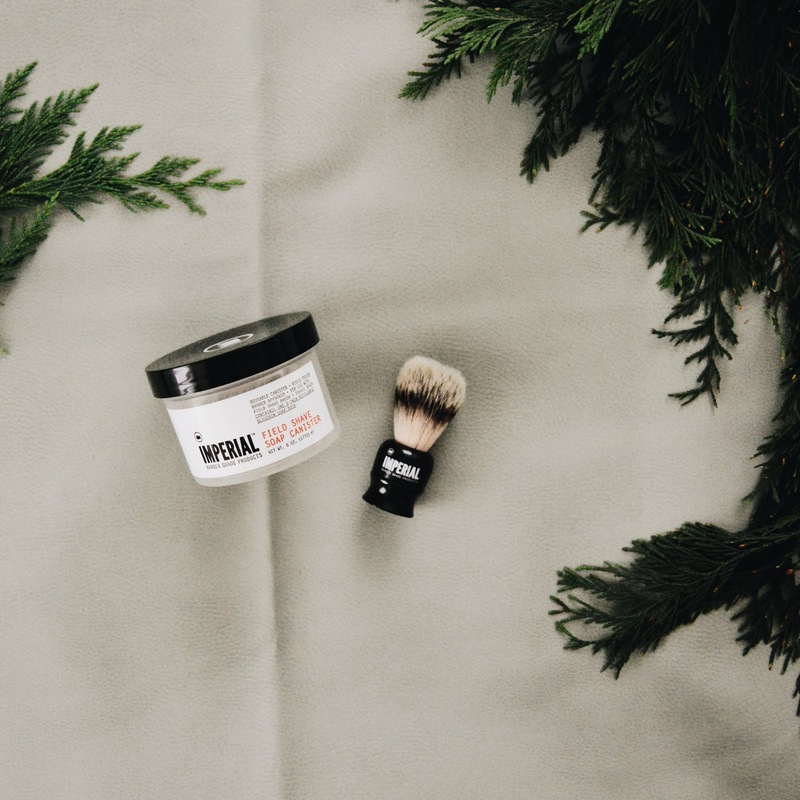 These are the perfect gifts for any guy, so this year when your significant other tells you not to get them anything, you can be prepared and here's a list of some of our favorite items where you're sure to find the perfect gift! Last year while on vacation in Myrtle Beach, we came across the cutest little shop called Savannah Bee Co., and of course us being as honey and honeybee obsessed as we are, we had to go inside... we even ended up going again a few days later, we love that little store that much. 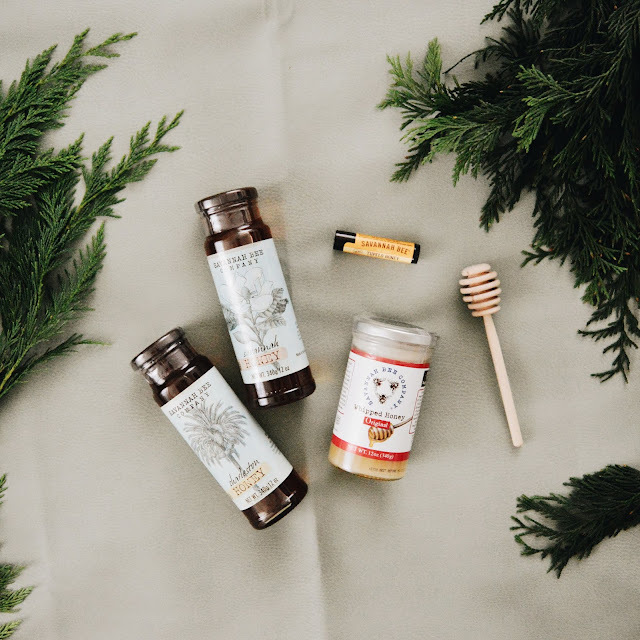 The honey was divine, the stuff of honeybee dreams, so as soon as we got back home, I looked them up and was elated they they offered all of their products online! Perfect slathered on homemade bread or naan flatbread, stirred into hot tea, blended into smoothies and even just eaten by the spoonful we love honey, especially honey from the Savannah Bee Co.. 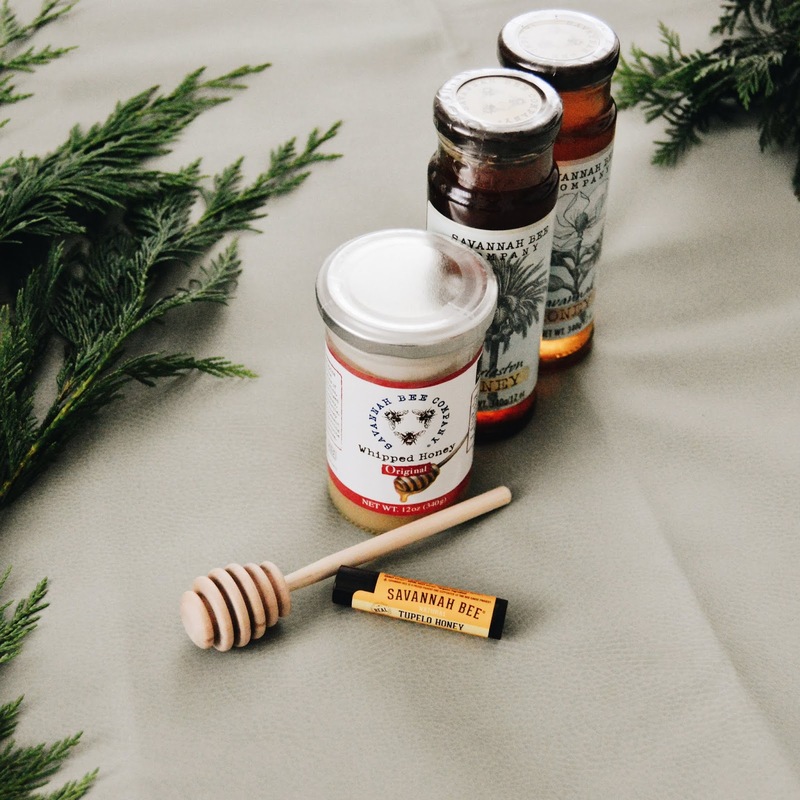 This Savannah honey is our absolute favorite, and I'm super excited for Frank to find it under the tree on Christmas morning as well as this whipped original honey, this Charleston honey, his favorite "tupelo honey" lip balm and even an old fashioned wooden honey dipper perfect for getting all the honey out of the jars! A hot cup of coffee is the way Frank starts off every single morning, so I always try and find him a fun new coffee to try every Christmas. 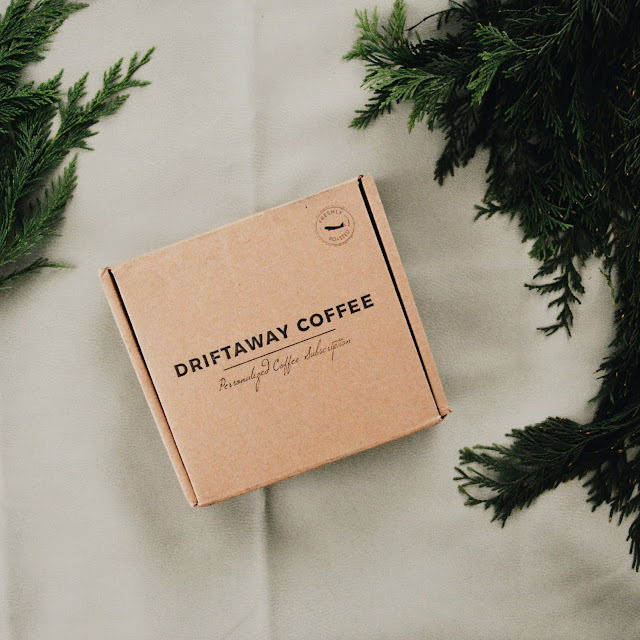 This year, he'll be finding Driftaway Coffee under the tree! 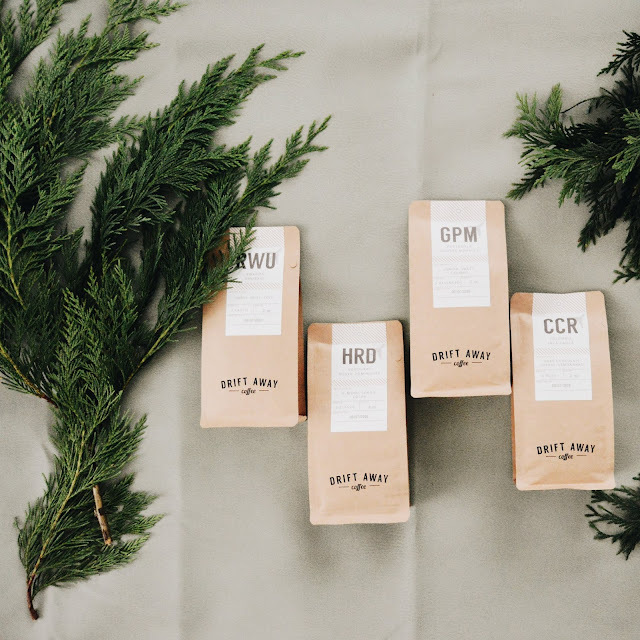 The cutest little shop based in Brooklyn, New York, that offers a coffee subscription box, or you can purchase individual bags if you prefer, and it smells so heavenly! This box comes with 4 different kinds of coffee (you can personalize it after the first box to only receive the roast you love most, if you want) and I already can't wait to find out which roast will become his new favorite morning brew and wake up call. That hard to buy for person that you still have to buy for? This is the perfect gift! 2 years ago for Christmas, I gifted Frank a Field Shave Soap Canister and a Vegan Travel Shave Brush from Imperial Barber Products. And would you believe that he is STILL using that same container of shave soap? Yep, it has lasted him that long. We are just as shocked (in the best way possible) as you. 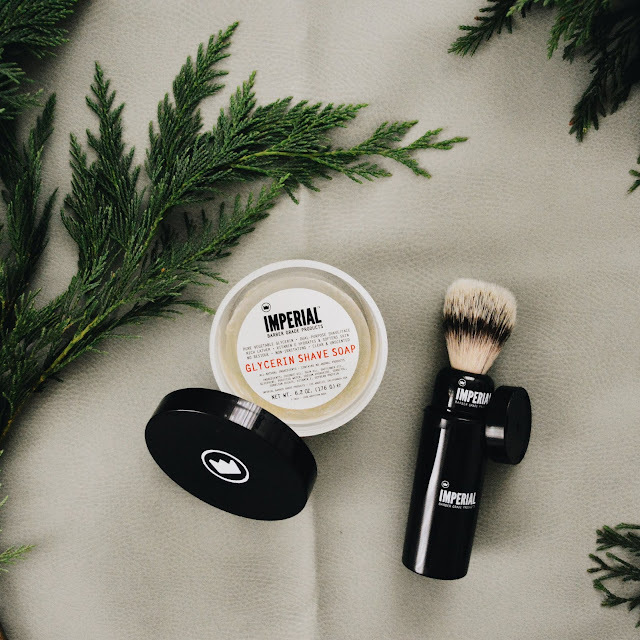 It has saved us so much money from not having to purchase traditional shaving cream every month, not to mention that by using the shave soap from Imperial Barber Products, we bypass all the icky and toxic ingredients found in most traditional shaving creams sold at the store. He loves it, and says it shaves better than anything else he's ever used, and I think he looks mighty adorable and old fashioned when he's brushing on the shave soap before he shaves. I fell in love with all of the pretty items over at Betsy Farmer Designs a few years back and just love the simple and minimal designs she offers. 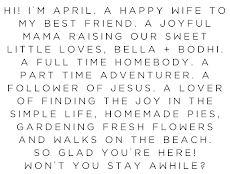 I own a necklace with all of our initials on it (though I need to grab an extra initial disk for it with another B, since new baby's name starts with a B) and it's one of my favorite pieces of jewelry. So when I found out that Betsy also offers products for men, I knew I had to get something for Frank. 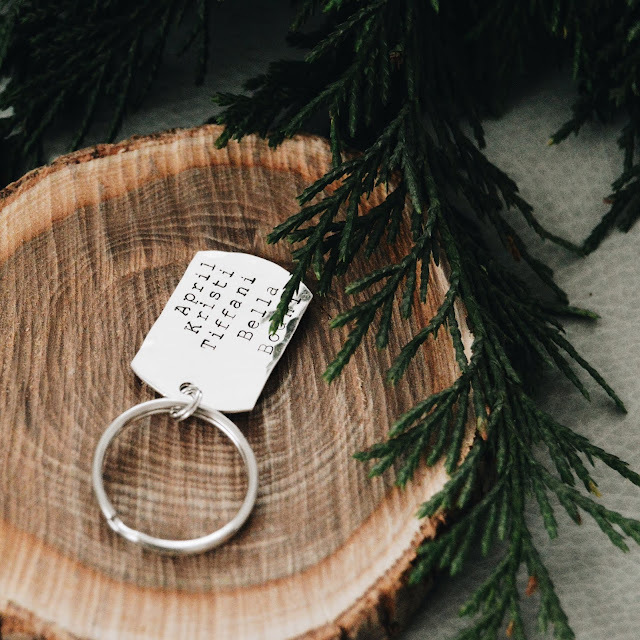 I LOVE this personalized dog tag style key chain and it's absolutely perfect for him. 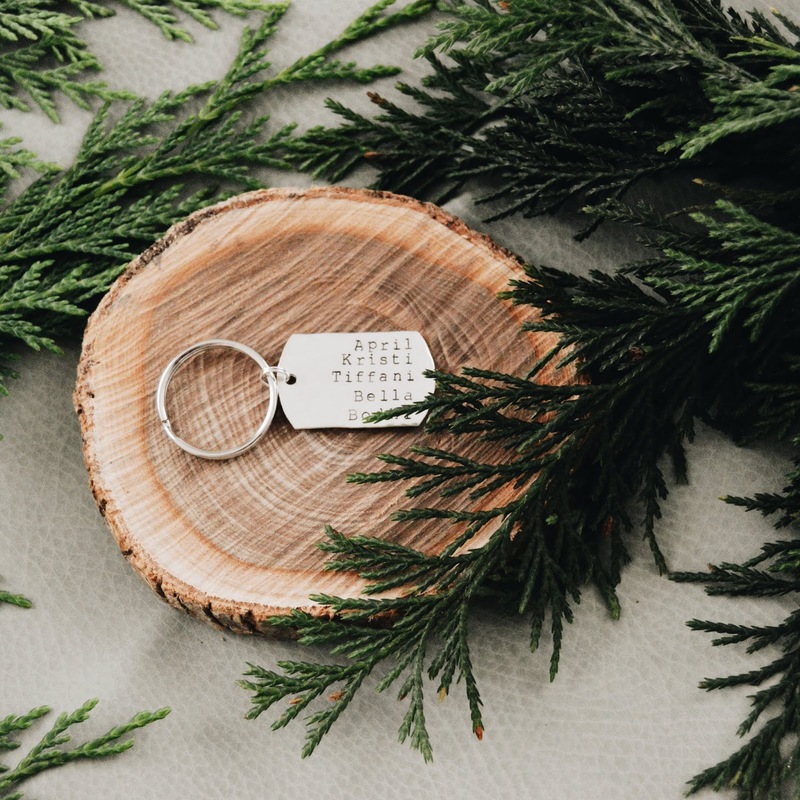 Frank is notoriously difficult to buy for, and is man of simple tastes who usually tells me not to get him anything (but if you know me, you know I can't not get him anything), so when I spied this personalized hand stamped dog tag keychain, I knew it would be the perfect gift for him. Not only because it's something simple that doesn't take up a lot of room since he's become a minimalist these past few years, but also because it's hand stamped and personalized with the names of the 5 people he loves and cares for most (myself and his 4 children). So if you're looking for the perfect gift for that one hard to buy for person, you've found it. 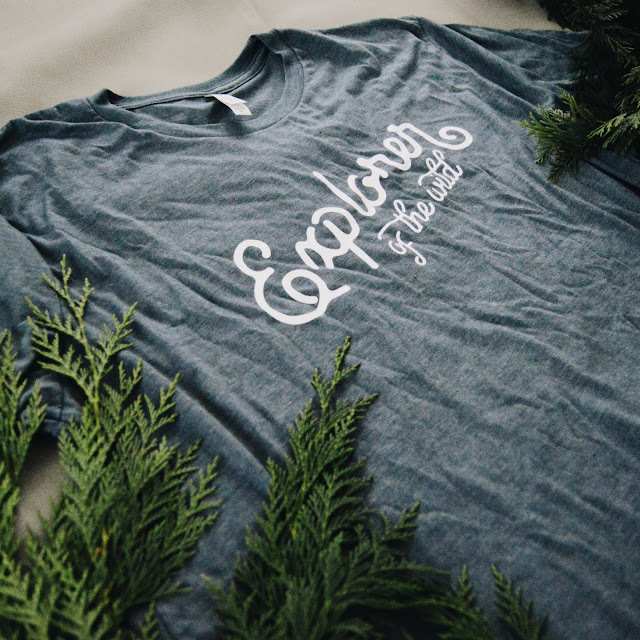 Tee shirts are one of my go-to gifts for Frank for every occasion, I feel like he's always in need of a new tee shirt or two since that's what he wears most be it at work or at home, and when I recently found this "explorer of the wild" tee from Larissa Kay Designs, I immediately knew he would love it. 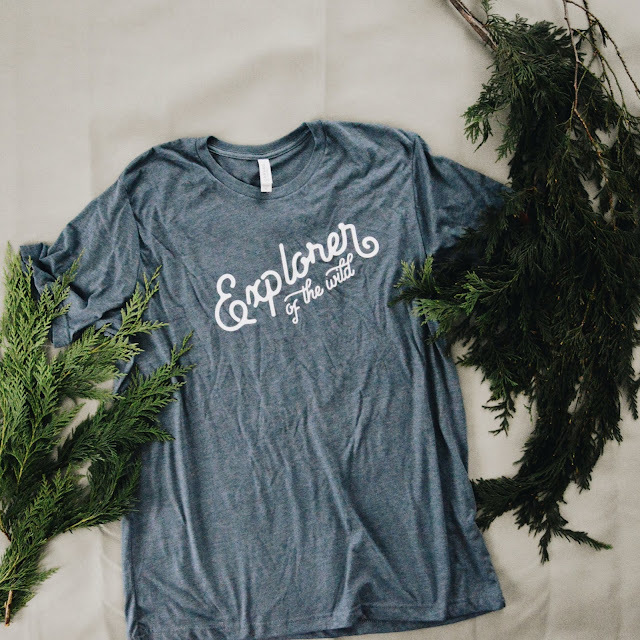 While he's a homebody like me, we also love exploring and adventuring, even if that means something simple like going for a drive in the countryside and discovering fun new places, or going for a nature walk, so this shirt couldn't be more perfect. It's super soft, the perfect color, and I can't wait to give it to him on Christmas morning!